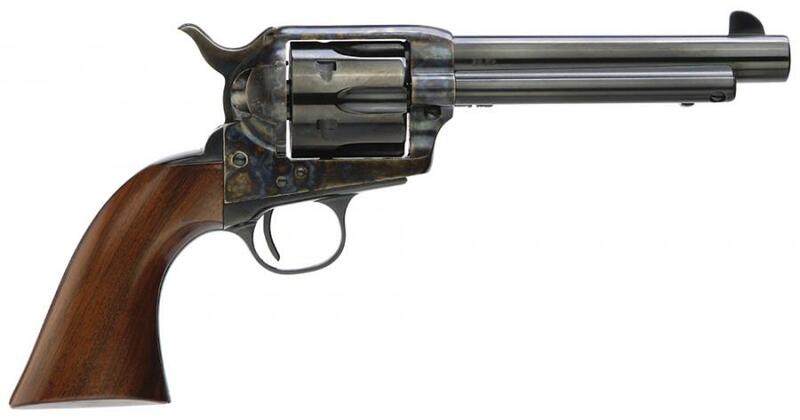 Taylors&co Cattleman Gunfighter 357 Remmag 5.5"
Taylor's & Company offers the finest collection of Gunfighter Model 1873's in the market today. Their Single Action models are manufactured using the highest quality standards available. Their frames are forged, this gives you a revolver that will withstand the demands of competition and Cowboy Action Shooting. Forged frames feature a better grain structure and are expected to be stronger, offering you a revolver that will stand the test of time. Barrel Length Range 5.00" to 5.99"